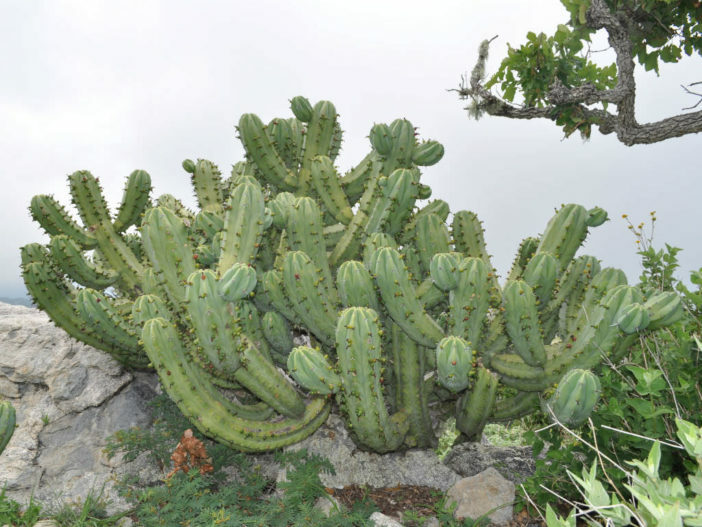 Myrtillocactus cochal is a large, sprawling, tree-like cactus up to 10 feet (3 m) tall and almost as wide, with funnel-shaped, pale green flowers. 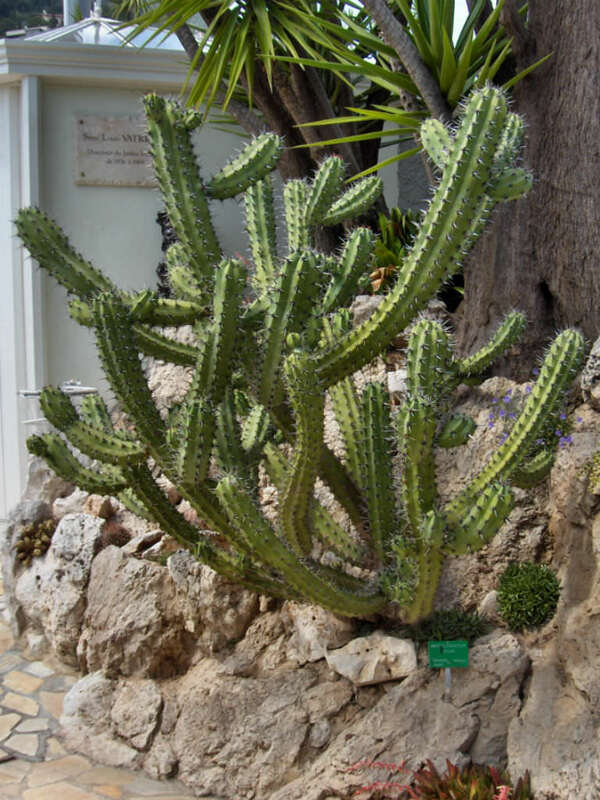 It has multiple, dark green branches with a very woody trunk once older. The branches have 6 to 8 ribs, with a central spine along the middle, and shorter radial spines on each areole. 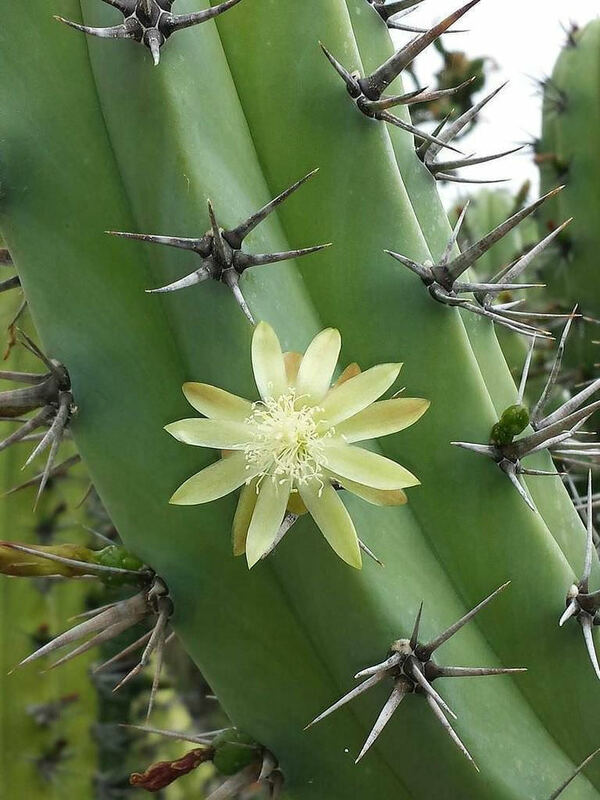 It produces stunning, pale green, cupped flowers in late spring through early summer. They open during the day and stay open thru the night. After flowering, edible, slightly acidic, globular, red-purplish fruit appear. 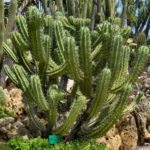 They are semi hardy, make sure that your Myrtillocactus are not exposed to temperatures below 25°F (-4°C) or they may die, nevertheless it is a good advice never let the nighttime’s temperatures fall below 50°F (10°C). 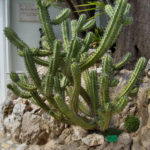 In the summer place Myrtillocactus in the sunshine (indoors or outdoors). In the winter find a cooler, light spot. That will allow it to go into next spring well-rested, which will make it more likely to flower. This easy-care plant doesn’t want a lot of water. Allow the soil to dry out before you give it another drink. Keep the soil completely dry in winter. 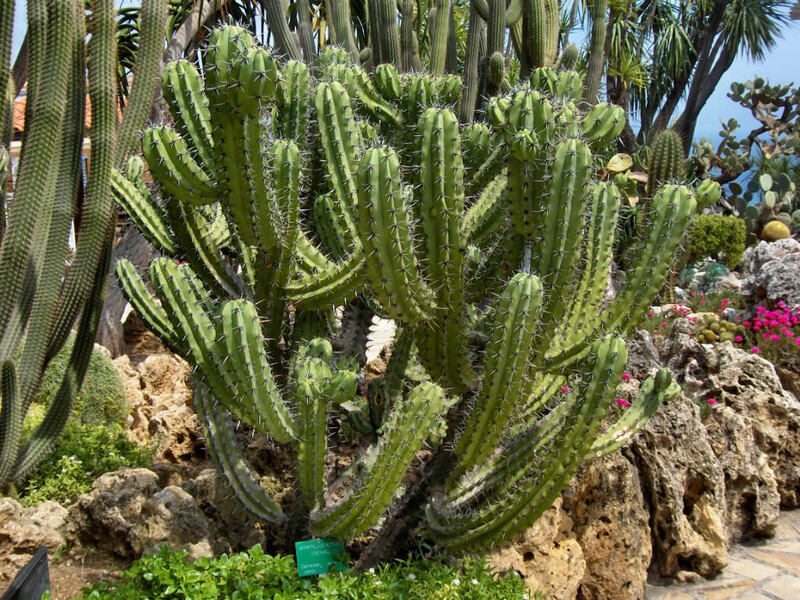 Treat it to special cactus food once a month in the spring and summer. 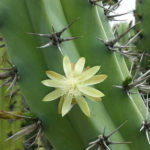 Native to the Baja California peninsula of Mexico.